Out team worked tirelessly to design an identity that could act as the corporate umbrella for Justin Alexander and their existing sister brands. 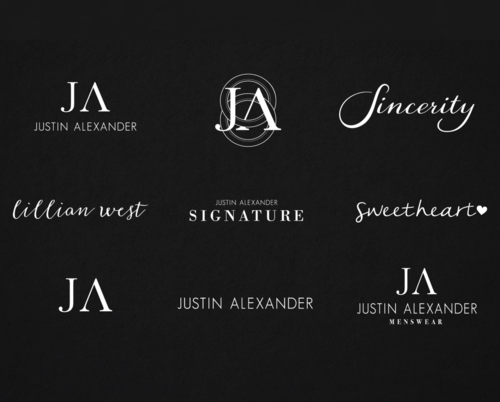 The challenge here was developing and modernizing an identity that could act as the corporate umbrella for Justin Alexander, while also incorporating a suite of sister brands. In other words: How do we put a new spin on a pre-existing brand? We modernized the look and feel of each individual bridal line held under Justin Alexander umbrella. This distinguished their own voice, but also created an aesthetic that unified the company. all in all we Create a direction that ties the brands together. The identity build involved creating unique visual marketing solutions like corporate logos, color palettes, typography and over all art direction we were able to successfully tell the story of the new Justin Alexander. Mirror NYC has been the creative extension of the Justin Alexander family since 2014. As the brand continues to develop, Mirror strategically advises on the implementation of new acquisitions, evolving brand identity and marketing solutions. We create relationships that thrive, identities that last and consumer markets that grow.